USB KVM switch can save your TIME, SPACE, EQUIPMENT and POWER. Controlling multiple USB PCs from One PS/2 Keyboard, PS/2 Mouse and VGA Monitor. USB KVM switch is loaded with features such as hot key control, push button control. USB KVM switch also supports extra USB device ports for user to share more USB peripherals. 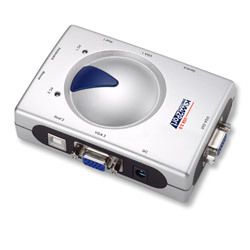 USB KVM Switch is compatible to AT, PS/2 style computers, SUN Microsystems computers, G3/G4 MACs or iMACs with USB port. All of USB ports of KVM switches are compliant to USB 2.0 Specification. USB KVM switch is embedded with USB device ports for computers to share different USB peripherals. Manage multiple PCs, G3/G4 MACs, iMACs , SUN Microsystems from one PS/2 keyboard, PS/2 mouse and VGA Monitor. Use push button or hot key control for easy computer selection. 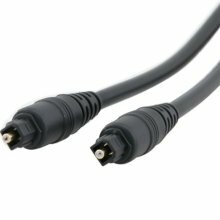 Plug N Play, No Windows software driver needed for PS/2 keyboard and PS/2 mouse operation. High VGA resolution 2048X1536 and High bandwidth 400MHz. Support VGA DDC, DDC2, DDC2B.